Myrrh has a warm, rich, balsamic, earthy scent that blends best with Frankincense, but also Lavender, Cedarwood, Sandalwood, Juniper, Geranium, Rosemary, Sage, Clove, Patchouli, and Peppermint. 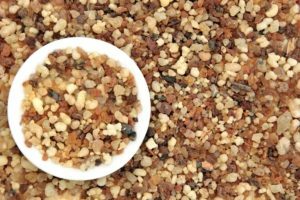 Myrrh increases spiritual awareness and promotes a creative, inspiring, energetic mood when used in aromatherapy and massage. Diffuse Myrrh to help promote awareness and uplift your mood. This essential oil promotes emotional balance and well-being. It has powerful cleansing properties, especially for the mouth and throat. 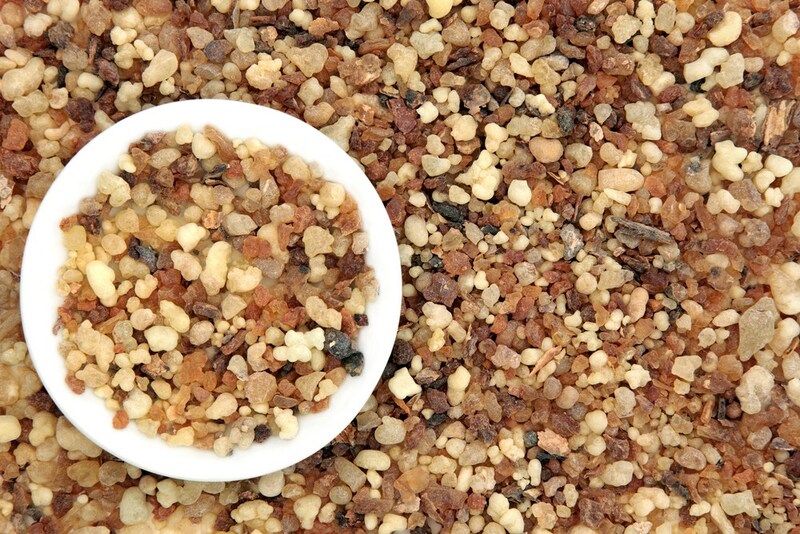 Soothing to the skin, Myrrh promotes a smooth, youthful looking complexion. Add one to two drops to toothpaste for added cleansing benefits. Put one drop in two ounces of water and gargle for an effective mouth rinse. Add one drop of it to a daily moisturizer to help promote youthful looking skin. Diffuse Myrrh when tension levels are high. Myrrh has surface cleansing properties. Combine a few drops of Myrrh with Wild Orange and Roman Chamomile and add to your bath for an aromatherapy experience that also promotes healthy looking skin. Try diffusing Myrrh during the holidays to maintain peaceful feelings throughout the home.